This month the art exhibitions in Oxford present the past and provide food for further thought too, as the world continues to change around us, socially, politically and environmentally. In Modern Art Oxford, the work of Hannah Ryggen (1894–1970), one of Scandinavia’s most outstanding artistic figures of the 20th century, is on show from 11th November. Ryggen is renowned for her monumental tapestries which, dealing with the pressing social and political concerns of her time, are her impassioned response to both regional and international contemporary socio-political events. This exhibition brings together sixteen powerful works from Norway and Sweden and deals with a range of issues from the rise of fascism, the Nazi occupation of Norway and its impact on her own family (her husband was interned), as well as the proliferation of nuclear power and the Vietnam War. Born in 1894 in Malmö, Sweden, Ryggen’s was working as a teacher when she took up painting at evening classes, later abandoning to develop her practice through the medium weaving, and in this exhibition you can trace the path of Ryggen’s career, from an early painted self-portrait from 1914 to her mature tapestries of the 1950s and 1960s. Living in a remote Norwegian farming community in the 1920s, Ryggen learned the processes of treating wool, spinning and weaving and, with a custom-built loom, began experimenting with materials and techniques gleaned from the world around her; using wool from local sheep and creating dyes from moss, lichen and bark. She drew the ideas for her work from close personal experiences as well as newspapers articles on the dramatic tumultuous politics of the day, many of which hold fresh resonance today. And in a smaller an exhibition in Modern Art Oxford’s Piper Gallery you can see Swiss artist Nicolas Party at work with the theatrical cast of female heads he has constructed and painted in situ, which represent and acknowledge the often forgotten achievements of pioneering women in the city of Oxford with, the artist considers, its heavily masculine energy of architecture and academic histories. Lenin is the subject of an exhibition in The North Wall Arts Centre, Summertown, Oxford this month which, to mark the centenary of the Russian Revolution. The show brings together more than 70 rare photographs and other material – graphic imagery and film stills- from the extensive archive of the British SCRSS (Society for Cooperation in Russian and Soviet Studies), most of which haven’t been on public display before. The images trace Lenin’s childhood, his early political commitment as a theorist and activist during his years in exile, and the social deprivations and conditions which led to the rising up of the proletariat, and the Revolution that led to the abdication of Nicholas II. Lenin is presented as a strategist, and a political theorist and yet also as a man close to the people who after the Revolution saw industrialisation and the reorganisation of peasant life. Just along the street, from 4th November, acclaimed artist and current President of the Royal Society of Painter Printmakers, Mychael Barratt is holding a more light-hearted exhibition, Maps, Myths and Muses at the Sarah Wiseman Gallery. Using etching, a technique for which he is well-known, Mychael’s art echoes the many traditions of map-making and narrative artworks from across the centuries and looking at this collection of prints and paintings is an adventure through time. Describing himself as a ‘narrative artist’, Mychael collects, categorises and sorts a vast assortment of characters and events both fictional and historical, creating intricate works that amuse and absorb the viewer, some of them very large in scale. His art explores history and art history, literature and the theatre, and maps, with an added sense of humour: you might encounter artists and literary characters from across the centuries, with re-imagined as pet owners or assembled together in a life-drawing class. In his more recent work, Mychael has re-imagined maps of great cities such as London, or New York, and unearthing obscure historical events, he plots each in the relevant locations with detailed illustrations. The exhibition will include some new pieces inspired by Oxford, including one called ‘Jericho Cat’ as well as one very large scale painting based loosely on the works of William Hogarth. In North Oxford’s Wolfson College this month, an exhibition by Cotswold artist, David Pollock maps his journeys to the Far East with a paintbrush (until 10th November) whilst in the Jam Factory’s Restaurant Gallery (from 14th November) see Elena Cremona’s Uncertain States’, a documentary series of environmental and landscape photography which have been hand-printed in a colour darkroom and are a reminder of the earth’s fragility and bring issues surrounding climate change into focus. 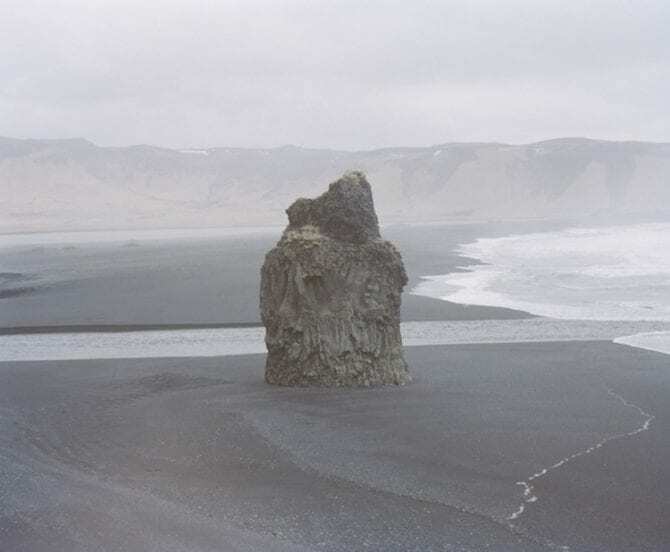 Appreciating the beauty of the planet, Elena uses her photographic work as a tool to allow her to understand better and let go of the past and to generate awareness and respect for our irreplaceable landscapes. And there’s more photography in North Oxford (7 Lakeside; Artweeks Christmas venue 18) with Paul Preece whose contemporary photography as archival postcards up to large-format works mounted on aluminium and acrylic encourages you to look again a bicycles, umbrellas and church spaces ahead of Christmas. In Deddington, the contemporary art gallery Wychwood Art throws open the doors of their historic building and invite you to enjoy winter exhibition with pieces by more than 70 artists on view and including ‘Everybody Loves Snow’ by Tim Southall, an etching and aquatint drawn on a copper plate and a nostalgic scene of fun playing in winter snow which has taken Dylan Thomas’s prose work ‘A Child’s Christmas in Wales’ as a starting point. Sculpture, chosen carefully and sited sympathetically, explains sculptor Beatrice Hoffman enhance a landscape and gives emphasis to design and plantings throughout the year. Particularly known for her striking stylised heads and large figures in bronze or bronze resin, she believes that the creation of a sculpture is only the first half of the process and that, rather than being viewed within the clinical white cube of a gallery space, to be seen at its best it should be in the outdoor world where its position in an outdoor garden bring both to life. 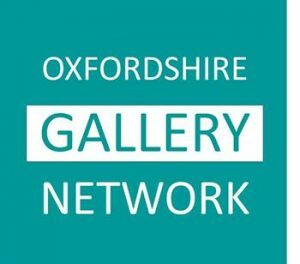 And as the Oxfordshire Artweeks Christmas Season burst forth, you can also see art and maker-designed craft pieces in a wealth of smaller venues around the county – from the Freeborn Gallery in Didcot where life drawings and the beauty of the human figure hang alongside vintage textile wall art and small to Cogges Farm in Witney where artist Jason Huffadine is showing Light and spacious abstracted urban landscapes depicting local landmarks in layered oils and washes, the medieval Abingdon Abbey which is hosting a traditional craft fair (3rd-5th November) with many local makers, and in the Oxfordshire Museum which presents the Oxfordshire Craft Guild’s flagship Christmas event from 19th November until Christmas. For Oxfordshire Artweeks Christmas Season – which runs until 17th December, with 72 venues to choose from – visit www.artweeks.org.